Beleaguered phone maker Nokia this morning published its financial results for the second quarter of 2012, reporting a $1 billion (826 million euros) operating loss on $9.21 billion in net sales (7.5 billion euros). Not super disastrous – considering the expectations – but with results like that, the future isn’t really looking any brighter for Nokia than it did after it revealed its financial results for the first quarter. Nevertheless, Nokia’s stock price is finally on the rise again. The average selling price of Nokia’s Lumia devices in the second quarter was 186 euros ($229), compared to 220 euros ($270.8) in Q1 2012. Overall, the Finnish company sold a meager 10.2 million smartphones, down 14 percent compared to last year. Feature phone Q2 volumes increased 4% quarter-on-quarter and year-on-year to reach 73 million units, Nokia said. The company ended Q2 with gross cash of 9.4 billion euros ($11.6 billion) and net cash of 4.2 billion euros ($5.2 billion). 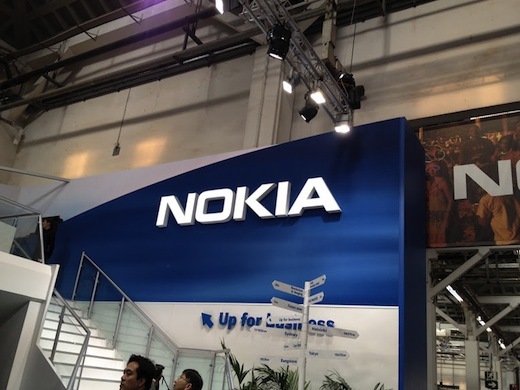 With Nokia’s share price in a seemingly never-ending nosedive, the company was recently forced to announce that it would fire yet another 10,000 employees by the end of 2013, and close more facilities. If that’s not enough, it’s also losing top executives all over the place as its cash pile diminishes further. The price of Nokia’s flagship Windows Phone product, the Lumia 900, was recently cut in half in the oh-so-important US market, a mere three months after its launch. Meanwhile, partner Microsoft might some day ship a Windows Phone of its own, although we think that’s unlikely. According to a recent report from The Register, Microsoft had actually considered acquiring Nokia late last year but ‘ran away screaming’. We were unable the veracity of that report, but it wouldn’t surprise us. Nokia announced in its annual SEC financial report for 2011 that, despite overhauling its strategy, it still suffered a $1.4 billion operating loss in 2011, compared its $2.74 billion profit in 2010. Its market cap stands at roughly 5.5 billion euros ($6.75 billion) today. That’s roughly 55 times less than at its peak, in 2000, when Nokia boasted a market value of over 300 billion euros. Imagine that. Why would Microsoft (let alone Samsung) even want to swallow Nokia whole? Microsoft is working on the next major release of its phone operating system, Windows 8, with Nokia just one of its manufacturing partners. The thing is, if you’ve already bought a Windows Phone from Nokia, you won’t be able to upgrade. What was that about a Windows Phone ‘contingency plan’ again, Nokia? Maybe that’s their September 7 surprise. Except it won’t be. Perhaps former Apple exec Jean-Louis Gassée was right, and Android would have been a better choice than Windows Phone, although I think the Wall Street Journal did a far better job at explaining why Nokia is getting absolutely stumped by the likes of Apple and Samsung: a staggering inability to turn cutting-edge research and innovation into profitable (smartphone) products consumers line up for. “Nokia is taking action to manage through this transition period. While Q2 was a difficult quarter, Nokia employees are demonstrating their determination to strengthen our competitiveness, improve our operating model and carefully manage our financial resources. We shipped four million Lumia Smartphones in Q2, and we plan to provide updates to current Lumia products over time, well beyond the launch of Windows Phone 8. We believe the Windows Phone 8 launch will be an important catalyst for Lumia. During the quarter, we demonstrated stability in our feature phone business, and enhanced our competitiveness with the introduction of our first full touch Asha devices. In Location & Commerce, our business with auto-industry customers continued to grow, and we made good progress establishing our location-based platform with businesses like Yahoo!, Flickr, and Bing. We continued to strengthen our patent portfolio and filed more patents in the first half of 2012 than any previous six month period since 2007. And, we are encouraged that Nokia Siemens Networks returned to underlying operating profitability through strong execution of its focused strategy.